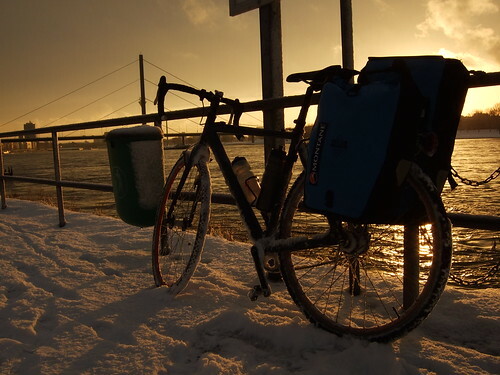 Back in December 2010, one of the hardest winters in history, that Edinburgh-based cyclist Markus Stitz ploughed his way with a singlespeed bike through snow and ice in a cruel 14-day journey to arrive in time for Christmas. 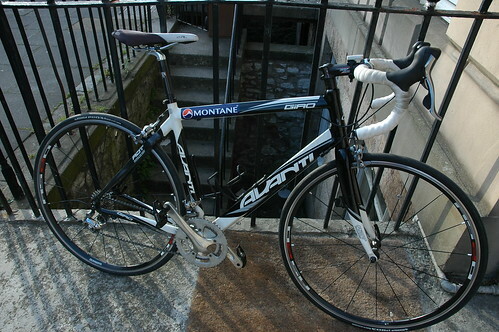 This time he is taking the easier option, a geared road bike, but is slashing the travel time in half. 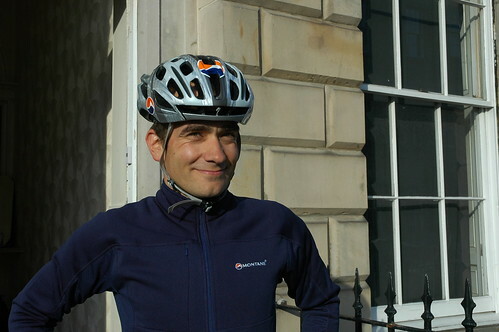 With only a saddle bag to take his luggage, Markus will cycle approximately 1300km in 7 days starting Saturday 14 May, with the first part of the journey from Edinburgh to Newcastle. He is again supported by Ashington-based company Montane, who will provide him with lightweight gear for the trip. From Newcastle he will continue with the ferry, kindly supported by DFDS Seaways, to Amsterdam. From there his journey will take him through Lingen, Hamburg, Berlin and Leipzig back to Thuringia, to meet his family for a relaxing weekend in Friedrichroda. With a 300km day being one of his longest ever on a bike, the trip will be far from easy, but the German rider is looking forward to his new adventure after successfully completing his winter trip. Markus will also raise money for two charities again, UK-based Re~Cycle and Bicycle Empowerment Network Namibia (BEN Namibia). Re~Cycle’s mission is to collect second-hand bicycles and ship them to Africa, closely linked with BENN, whose main focus in Namibia is a Bicycle Empowerment Centre program, a network of independent, community based bike shops that are supported by local grass roots organisations. Donations can be made online at his JustGiving page. This entry was posted in Routes / Rides and tagged touring on May 14, 2011 by Owen.